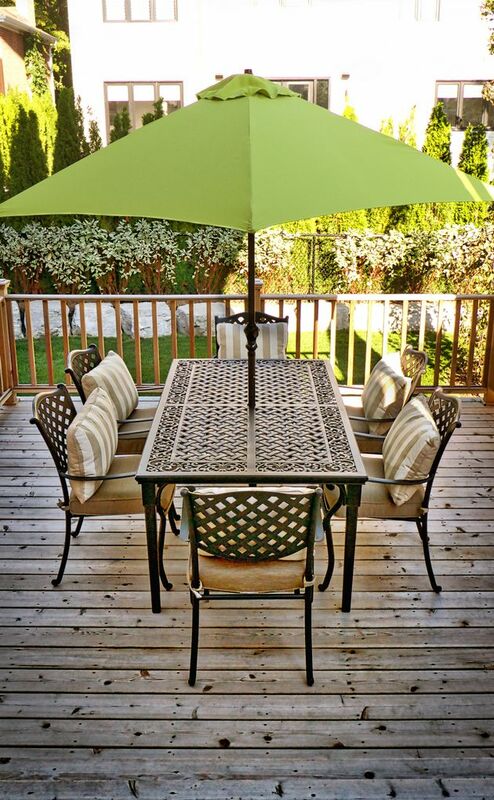 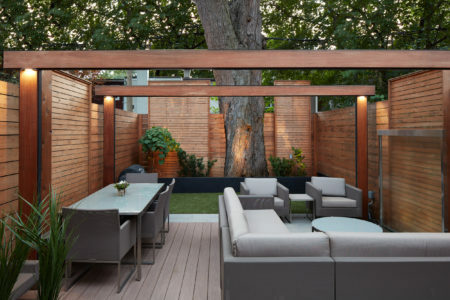 The backyard of this newer large home in one of established neighbourhoods was not meeting the family’s entertaining needs. 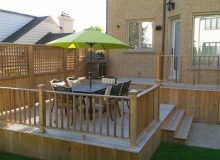 The tiny deck only facilitated movement from the back door to the small patio below and the landscaping was uninspiring. 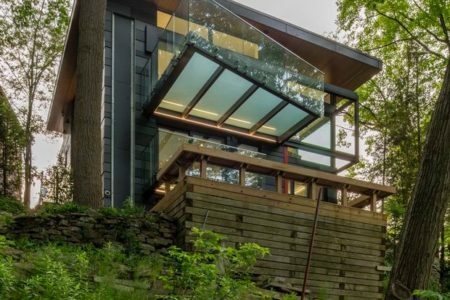 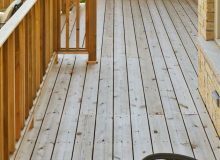 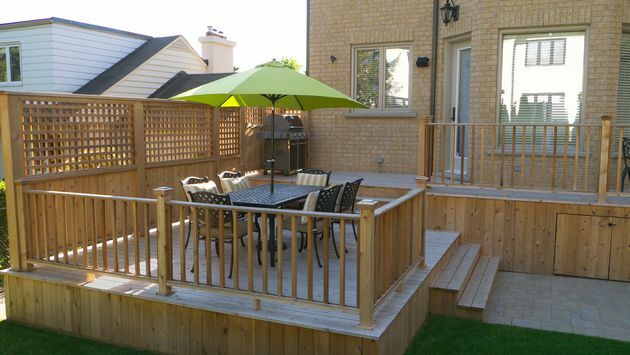 To create flow and movement into the yard, a spacious multilevel deck was added. 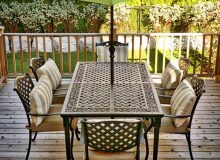 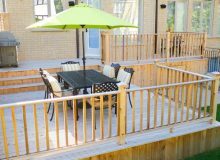 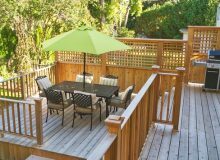 The upper deck has a dedicated BBQ area and a small sitting area for morning coffee or watching the children play in the yard. 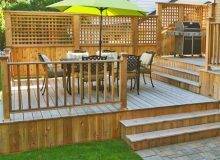 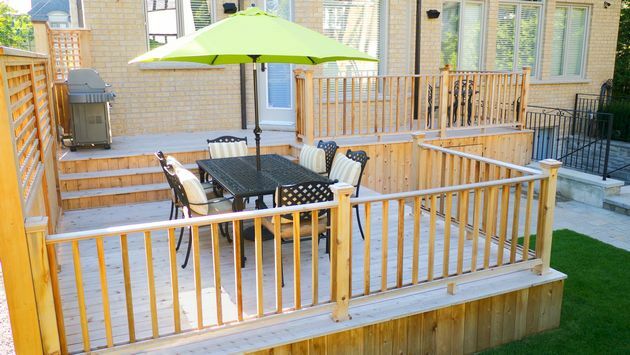 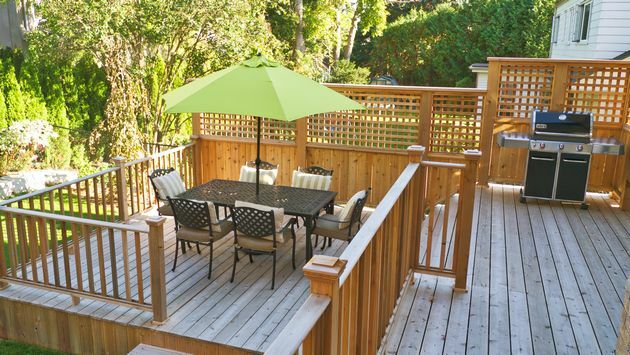 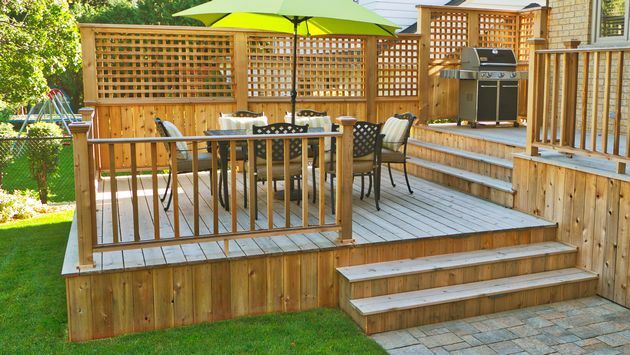 Stairs from the deck create a pleasant flow to the yard, basement walkout and main patio. 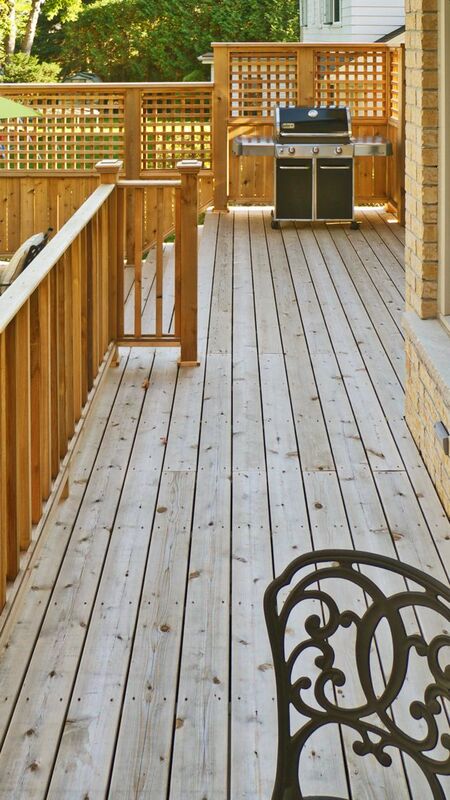 Privacy screens were added to the south side of the deck. 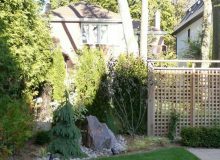 Similar lattice screens located at the east edge of the patio create continuity. 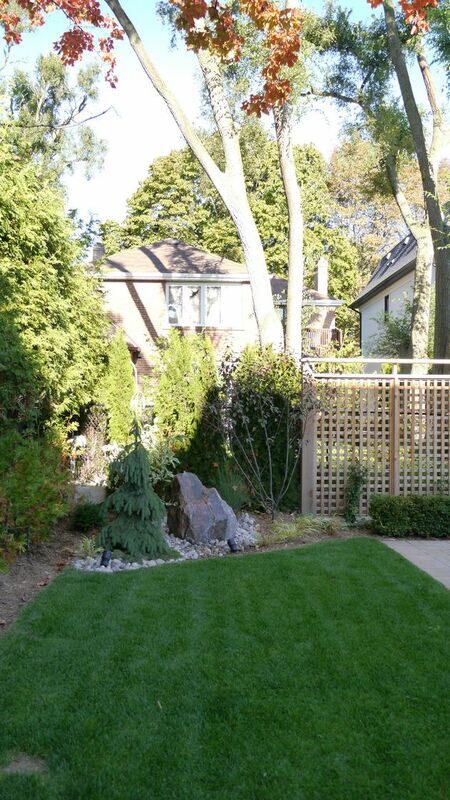 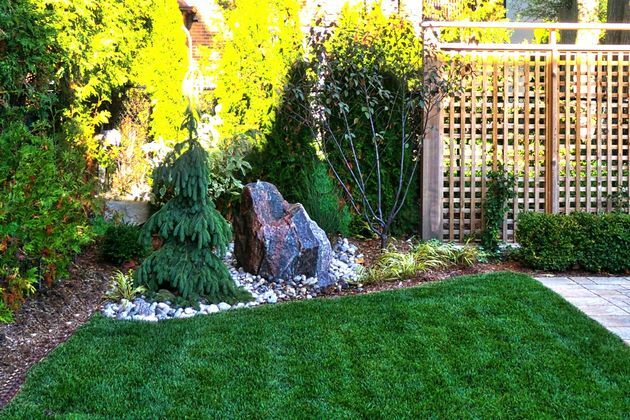 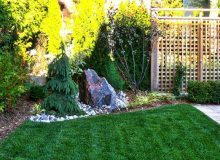 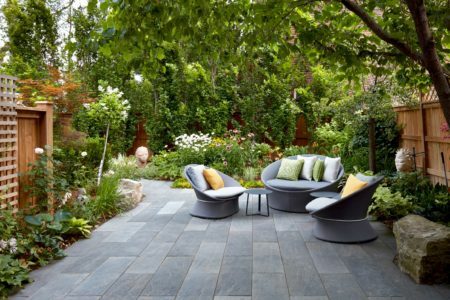 A bubbling rock water feature creates a focal point in the yard.